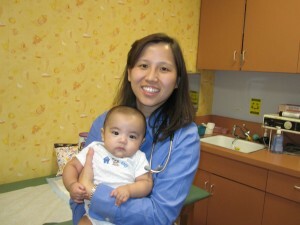 Kindercare Pediatrics » Holly Wang, MD, FAAP - Keeping kids healthy and happy. 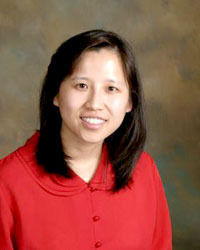 After graduating with high honors from UCLA, Dr. Holly Wang attended medical school at Stanford University. She then returned to UCLA, where she completed her pediatric residency and served as a pediatric chief resident. Since finishing her chief resident year, Dr. Wang has been practicing in Pasadena for over 10 years. She is board certified with the American Board of Pediatrics. Dr. Wang has a wide variety of interests, including gardening, hiking, traveling, and cooking. However, she most enjoys watching the UCLA Bruins and any team beating up on the USC Trojans. At other times, she revels in the success of the Dodgers after “the horror, the horror” of the McCourt days (Thank you, Magic!!). She most recently has become a Kings fan, thanks to a very young and precocious niece who knows the entire line-up by heart (Go Kings Go!) since there has been a bit of a lag in the Lakers’ leadership (PLEASE LUUUUKE, DO SOMETHING! ).